If you want to travel on your own and especially do not want to spend too much on transportation, taking a bus is definitely a great idea. Bus is a quite popular transportation so you can easily find many bus stations here such as Mi Dinh, Giap Bat, Nuoc Ngam. 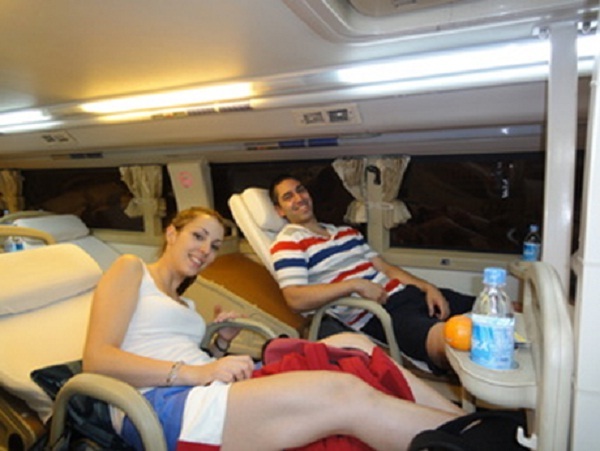 Among many bus companies, Hoang Long express is a good choice for you due to great service and its reputation. The price is about 60000 VND. It will take about 3 hours. Besides, if you want to know more about local people and the culture, sitting on a bus really helps you. This way of transportation is not recommended for tourist who cannot stand some unexpected inconvenience. 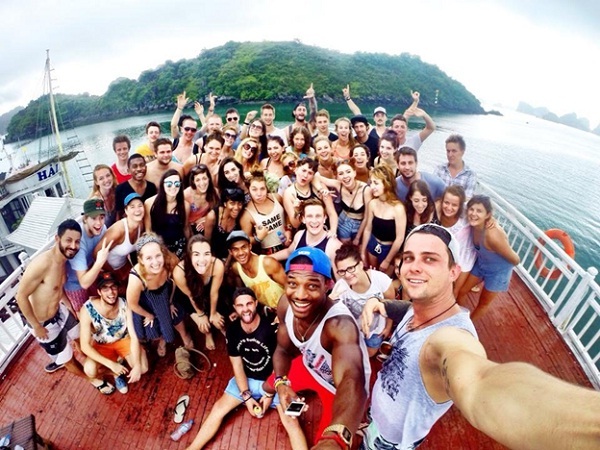 Foreign tourists coming to Halong often decide to book tour in advance. This is also the most popular way to go from Ha Noi to Halong bay. It is very easy for you to book tour online via the websites of travel agencies or offline by coming to the agencies’ offices which is mostly located in the Old Quarters. The advantage of this means is that its price is reasonable and always available. Moreover, taking a tour is safe. The travel agency ensures to take care of transportation as well as accommodation. There will always be a tourist guide who is in charge of introducing everything during your trip. In the other hand, the disadvantage of this means is that you have to totally depend on the agency and your own experience is not guaranteed. Travel tour is highly recommended for small groups like family and elders. 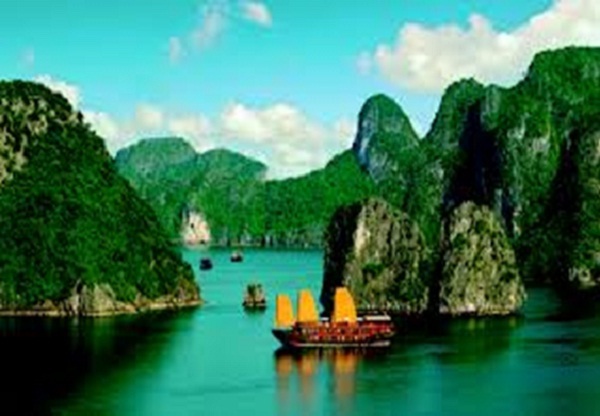 The average price for a 2 day and 1 night tour to Halong is about 3 million VND. 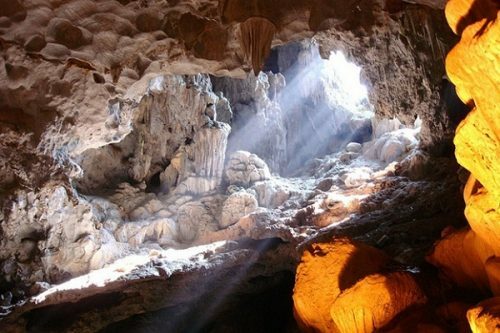 Viet Nam owns one of the most wonderful natures in the world. 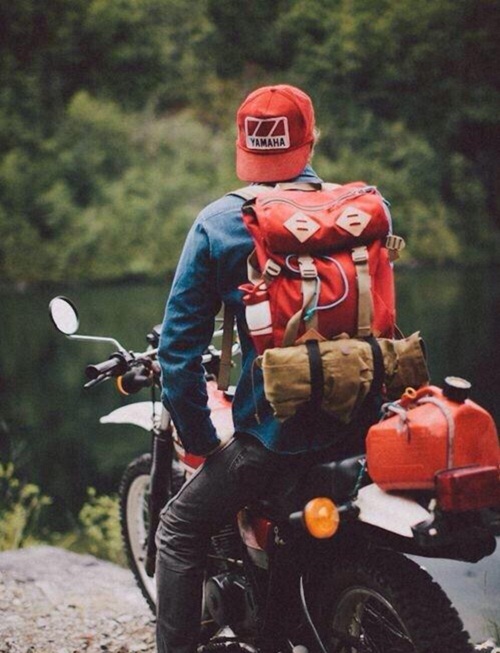 An adventure on a motorcycle is really an amazing experience. This type of traveling is the most exciting but certainly the most adventurous. You can rent a bike with the price ranging from 25 to 50 dollars per day. You need to prepare a map, a dictionary and good riding skill to have a safe trip. It is advisable that you should go with a small group of friends to support each other during the trip. In case your motorbike is broken, carefully check out the motorbike before hands. Because it is dangerous, more tiring and more time-consuming than bus or tour to reach, you ought to plan your trip in advance. Take care!